Why not live like a king? 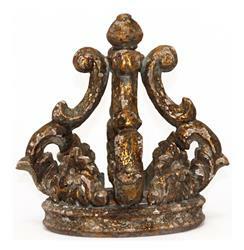 Treat your French country home’s interior like the castle it is with this large antique gold fleur decorative crown. With a vintage, hand-rubbed finish, it serves as a reminder of your past life as a kind and gracious ruler.